Hanson, a neuropsychologist, and Mendius, a neurologist, come at the subject with the different angle of proving how meditation and wellness therapies can actually affect the brain and its neural pathways and allow for happiness and calm to become possible. They do this in a very thorough way by detailing exactly what goes on in the brain when people are stressed, anxious, angry or unhappy, and then charting what happens when the brain is exposed to techniques that promote love, kindness and peace. They use the classical teachings of Buddhism for this purpose, including ethics and precepts, as it’s the contemplative tradition they both know best and encapsulates a wide range of techniques that can help deal with sorrow, low mood and difficult states of mind. The book provides a fascinating insight into how the brain processes information and why the ancient side of our brains is very much in conflict with our modern way of living. Unlike our ancestors who had to be constantly on the alert for danger, our modern brains have not caught up with the times and so spend untold energy firing up neurons when there is no actual threat and pumping out hormones to help us deal with situations that don’t endanger life and could be much better dealt with by just a few deep breaths. The book provides helpful explanations to well-used Buddhist methods along with useful meditation scripts to practice along with appropriate quotes and anecdotes – my favourite one being the story about Nelson Mandela who showed such loving kindness to his prison guards that they could no longer treat him badly. Such a powerful example of this Buddhist idea really hits home at how seemingly helpless suffering can be eliminated on some level by just deciding to act differently. It also proves how human beings are inherently good, especially if you start appealing to their better nature. The sections I found most illuminating were ‘The First and Second Dart’ and ‘Relaxing the Self’. The truth behind how we deal with situations, for example the first dart of our brains receiving the information and then the second dart of how we react after processing the information – and how we have a tendency to add suffering to a situation just due to our perceptions or previous states of mind - was suddenly so obvious to me I marvelled at how I hadn’t read about it in anything previously. Now when I react badly to something, I always try to think “Is this second dart necessary? Can I just pluck this second dart out?” Equally, being told that “the self is like a unicorn” and that neurologically speaking, the feeling of being a unified self is an utter illusion was another eureka moment. We often perceive ourselves purely from other people's references of us or from made-up ideas we have about ourselves and none of these opinions could possibly do our true selves justice. The sentence “The self is a collection of real representations of an unreal being – like a story about a unicorn” definitely had more than a few neurons lighting up during reading. So for science lovers who want to find a way to understand why Buddhist practices seem to promote paths to happiness, love and wisdom, this book will certainly go a long way to explaining how that is factually correct. 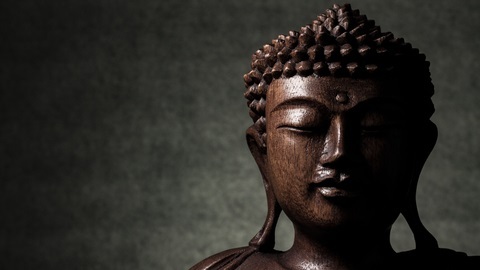 And for those who are already practitioners of mindfulness or meditation, Buddha’s Brain will serve as a timely reminder that there is concrete evidence that these practices are truly beneficial and that our wonderful brains have the capacity of adapting and changing to embrace happiness, if we only produce the effort required to do so. For more information on mindfulness and how to deal with anxiety and depression, click here for the LightHearts UK FREE online 10 week mental wellbeing course.